Historias de Tango (Tango Stories) celebrates the fifth anniversary of the MonTango dance school and the 25th anniversary of Argentine tango in Montreal. April 12, 7:30 pm, Corona Theatre, 2490 Notre Dame W. $20-$24. Post-show milonga till 3 am at MonTango, 5588A Sherbrooke W.—free for ticketholders. Paintings by Barbara Moser, ST publisher. Drop by for a delicious latte, Greek pastry, and a visit with John the proprietor. This is Moser’s first art show. She’s been painting for 50 years. Kokkino’s, 5673 Sherbrooke. 9am-8pm. Ste. Therese de l’Enfant Church, 780 Mistral. Understanding Court Orders and How the Police Can Help with Michael Arruda. 7-8pm. Free. Register in advance: 866-396-2433 careringvoice.com. Geordie Productions presents the tale of two strangers who speak different languages find a way to communicate and share. 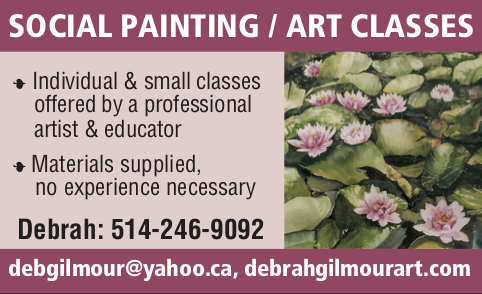 Call for schedule and tickets: 514-845-9810. The Rosalind and Morris Goodman Cancer Research Centre presents Having a Bone to Pick with Cancer. Be the first to comment on "What’s Happening in Montreal in April"